If you are starting a small business in rural Arkansas, Missouri or surrounding areas, you have a lot on your plate already, and marketing is probably the last thing you want to think about... or spend money on. BUT LISTEN. You need to market your business. And you need to be educated about your options so you don't throw money away from the start. The best way to stay educated is to be informed about up-to date and relevant marketing trends in today’s business sphere. That's where we come in. We love this stuff. Our business depends on this stuff. Let us help. So here's some advice from VisionAmp Marketing. Although some of the old, time-tested methods still consistently bring in customers, to truly target traffic from the Northern Arkansas region, web-based advertising methods done correctly are a sure success. 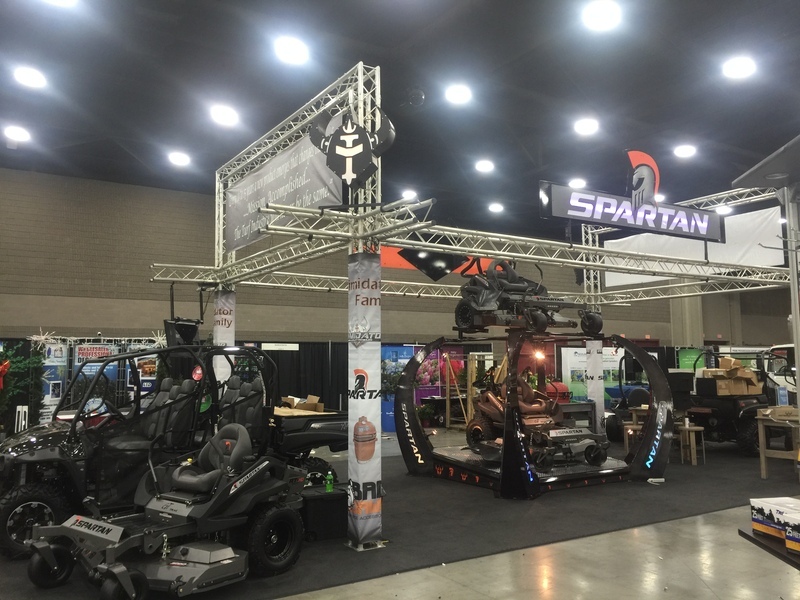 Depending on the character of your business, trade shows can be a great benefit to your company if you offer something that really makes people stop, visit, and better yet...take a picture. It is worth it to have a professional design the display, given the importance of visual imagery to the human eye. Everyone carries a smartphone. If your display draws them in enough that they take a picture and share it on social networks, win! Make sure your business name and WEBSITE are prominently placed. Billboards are perhaps the most untargeted method of advertising of all. In other words, it's pretty much impossible to track the advertising success of a billboard. BUT, that doesn’t mean it doesn’t work. Small businesses, especially in rural areas, have success with billboards. If you can afford it, multiple billboards (2-3) with a similar message will be most effective. Again, design is everything. Keep it super simple...with big imagery and only the most important text like your tag line, phone and website. To choose the best billboard location, get the latest traffic count numbers from the local road department. If you live in Mountain Home, here are the latest numbers. Radio works in some communities, with some types of businesses. In our small community with an older listening market, radio seems to work, especially to complement advertising campaigns. Don't put all your eggs in one basket, but if you can afford to spend money on radio, we recommend doing it right. Advertise during Morning or Evening News or other popular programs that have the most listeners. Run really catchy radio ads (we can produce those for you!) and run them like crazy for a week or two, until people are sick of hearing about your sale or event. And don't forget to ask for extras. If you just spent a ton of money on a two week radio campaign, ask them to throw in some extras like a live call-in during their morning show or free digital ads on their website. Ever since Google essentially broke and rebuilt the advertising mold in the late 90s/early 2000s, paid search has been gaining steam as one of the premier advertising methods. If you’re looking for the best bang for your buck, nothing else is quite as competitive as paid search. You can target, and we mean really target (even down to zip codes and shopping patterns) your Northern Arkansas audience exclusively with local search terms in Google Adwords. Paid search is competitive, but with the right keywords and management it can produce your highest return on investment. In the past few years – because of the explosion of Facebook and Twitter, primarily – social media has become competitive. The beauty of this method is that it has the potential to cause your advertising program to go viral. VisionAmp specializes in utilizing your well-cultivated social networks to promote attractively-presented products, services or clever marketing campaigns. Advertising to your market can be tricky, especially in small-town USA. But it's important, and it's vital to growth and recognition. VisionAmp Marketing specializes in small market advertising. We do it all from designing and printing up those first business cards to helping you launch a year-long advertising campaign. We would love to sit down with you and figure out how to customize your advertising to get the most bang for your buck. Contact us today to see how we can improve your advertising strategy, and check out visionamp.com to see all our services and how we have helped hundreds of businesses grow!